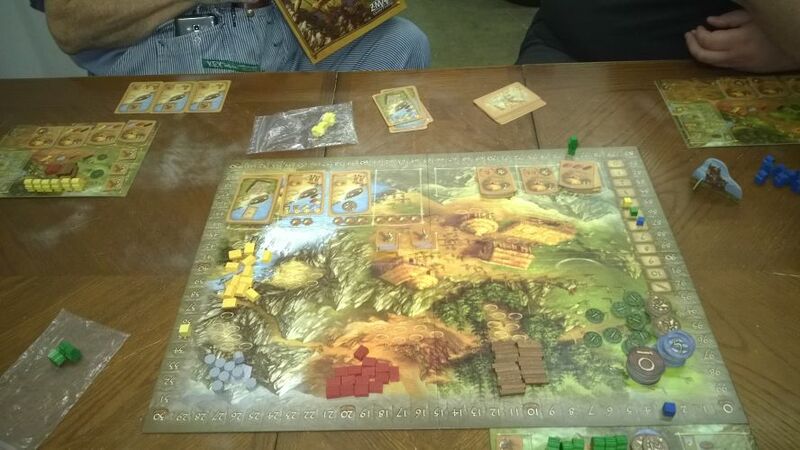 I've blogged more than a couple of times about Stone Age (2008) and with good reason. As much as I love other gateway games, this is certainly the go-to gateway game for worker placement, in my opinion. 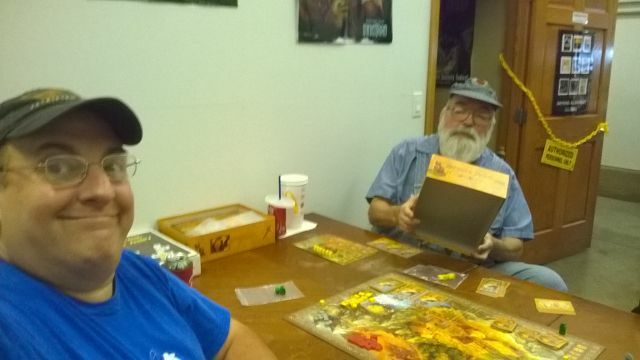 Tom, John, and I got together last week and played a quick game at Lake Geneva Games to kick off the weekend. It was a good time, as always, and we may have gotten done in record time. 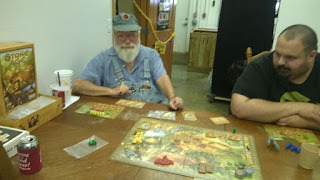 This one came down to a couple of factors, farms and set collection. I've seen set collection be the only factor but I am not sure I have seen it not matter except when there was nearly a dead heat between leaders with the same collections.